From left to right: Sue Daley, Head of Programme, Cloud, Data, Analytics & AI, TechUK, Tabitha Goldstaub, CognitionX, Zoe Webster, Head of Portfolio, InnovateUK, Eleonora Harwich, Head of Digital and Technological Innovation, Reform, Huma Lodhi, Principal Data Scientist, Direct Line Group. Artificial Intelligence is changing the world. And yet, still too often, the conversations are dominated by men: whether it is creating the algorithms that support the day to day uses of AI, or discussing the politics of this fast-changing world. This conference brought together female thinkers, scientists, academics, businesswomen and politicians to discuss the future of AI - the ethics, bias and governance framework as well as opportunities and challenges for the future. Whether you know you are using Artificial Intelligence, or not, the fact remains that this technology is happening - in every part of our lives. After a day discussing the impact that this has on women, not only personally, but professionally, socially, and economically, it’s clear we need to be clearer. Why are women so worried? Few women are working in Artificial Intelligence. Not only does this make it difficult to represent female views equally, it raises other ethical questions. For example, take the situation where there may be a bias within the data used to train an AI. Is it possible that there may be a poor representation of female data because it doesn’t exist yet? We know any answer that an AI gives will be based on the information put into it. Who will be responsible for checking what the machines are learning? Catherine Colebrook, IPPR, Chief Economist and Associate Director for Economic Policy highlights research that suggests that women are less likely to look for different jobs. Their attachment to the labour market is less intense. In reality, this translates to them being unlikely to retrain to seek out new types of work. As women occupy a significant proportion of low skilled jobs, the threat of them being left behind as automation takes over becomes increasingly likely. Something needs to be done and women need to take action now. Holly Rafique, Digital Skills & Content Lead at #techmums helps to address this issue and works to help mums increase their ability to use technology, predominantly in disadvantaged areas, to improve their, and their children’s lives. Freaking out or freaking on? The World Economic Forum reported a study predicting that more than a fifth of the global labour force [800 million workers ], might lose their jobs because of automation in the next decade. Sue Daley, Head of Programme, Cloud, Data, Analytics & AI, TechUK advocates a more moderate view, looking for the good use of AI [and Sue, for you I have not included any apocalyptic “Machines are taking over the world” photos]. A small example is Denmark using Corti — an AI to help call handlers to detect whether someone is having a heart attack. If you get a chance, check out what Jade Leung at the Future of Humanity does on big-picture thinking around the governance of Artificial Intelligence for the long term. There are many, many more examples and Eleonora Harwich, Head of Digital and Technological Innovation, Reform, looks at examples of innovative use in the Public Sector, such as predictive policing and the Serious Fraud Office use to detect large scale bribery in Rolls Royce. What problem in AI solving and creating? Will Artificial Intelligence add another dimension to these problems, solve them, or add to them? Will it usher in an era of no jobs or more jobs, or just different types of jobs? It’s possible that technology causes a higher number of people to be in employment — but isn’t this opposite to what the research suggests? What happens if disadvantaged groups don’t have a say in the technology created? Shouldn’t algorithms be checked for bias? Should it be mandatory that AI should reflect the diversity of the users it serves? Dr Paula Boddington’s view, who is the Senior Researcher on, ‘Towards a code of ethics for artificial intelligence research’, Department of Computer Science, Oxford University, is that ethics in AI is so interesting because it asks us simple, fundamentally important questions which are very difficult to answer. How do we live our lives? 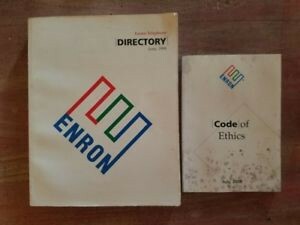 Enron has a fabulous code of ethics which was completely ignored. Enron overstated its earnings by several hundred million dollars. Does good use of AI start with our children? Growing up in our world today means experiencing frictionless AI, it is pervasive, and omni-present. We are beginning to, and will, use it seamlessly and eventually unknowingly. This begins with significant investment from government and interest from many sectors. For example, Seyi Akiwowo, from Glitch!UK (ending online abuse and harrassment) has a schools programme teaching children about how to be good digital citizens, promoting fair behaviour online. Because of their ability to use an AI? Will they and their AI be interviewed together for the job? Because they can use AI? Will the ones better versed in the technology be hired? Jobs of the future are only beginning to just exist today such as a Personality Trainers for Chatbots, Augmented Reality Journey Builders, and Personal Memory Curators. All of them require AI application knowledge. Does this mean children who can afford more and better technology get hired more? What makes for a good AI implementation? There’s no time for an in-depth review of an approach as to what will make AI implementations fit for humankind and right for your organisation. But, there is one absolute truth — it all starts with your data. The EU and following countries can now enforce standards for better personal data use — this has created a step-change, re-educating individual’s as to what their data means both personally, and as part of wider groups. Assess your Corporate Social Responsibility programmes in light of the impact of this technology, in the communities within which you operate. You’re not on your own, help is arriving! How can we build a public evidence base on how data and AI affect people, groups in society and society as a whole? How can we create more powerful public voices to shape practice? How can we embed ethical practice for those developing and deploying AI? How can we articulate a positive vision for the type of society we want, and lay the political, economic and social foundations to create it? If you haven’t seen the Festival of Ai, CogX, that’s on in London soon check out the line up — it’s going to be fabulous and many of these questions are scheduled to be debated there. Is this just a women’s issue? Women’s issues are men’s too — in fact many people of all genders identify with the condition that women find themselves in. This is just one vehicle towards a much needed, wider debate. Prof. Joanna Bryson reminds everyone that disparity of any group often mirrors the condition of women. Personally I highly recommend joining in the discussion. The more minds, disciplines, views and input the better. The event was enthusiastically and brilliantly organised by, Dr Allison Gardner, Teaching Fellow in Bioinformatics, Keele University and Councillor, Newcastle-under-Lyme Council. And exuberantly and inspiringly chaired by Ivana Bartoletti, Chair of Fabian Women’s Network of the Fabian Institute. I happen to be fortunate to work with a team who are strong advocates of using technology fairly and ethically.